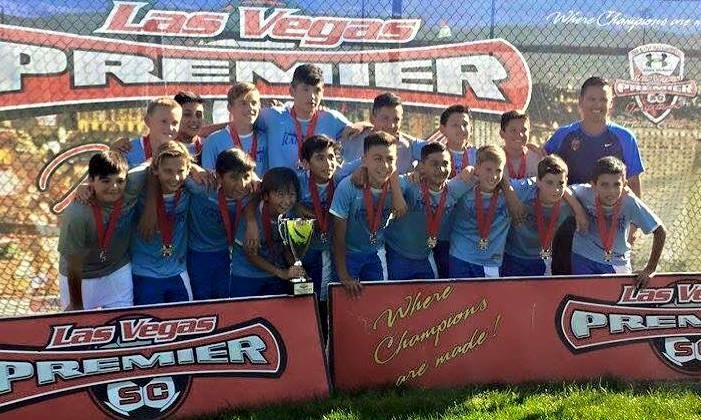 Rangers B02 White - 2015 Las Vegas Premier Invitational Champions! Congratulations to the Fullerton Rangers B02 White team for capturing the Las Vegas Premier Invitational tournament title. Competing against some of the highest-ranked teams from Arizona and Nevada, the team dominated the BU12 Premier Division by winning all four games and outscoring their opponents 16-2. The boys hope to leverage this experience as they prepare to represent Cal South at the 2015 US Youth Soccer Region IV Championships, to be held in Boise, ID from June 22-18, 2015. Congratulations on a great start in 2015 and keep up the good work!